Soprano Dorothy Baldacchino will feature in a sacred music concert at St Augustine Monastery in Old Bakery Street, Valletta, today at noon. 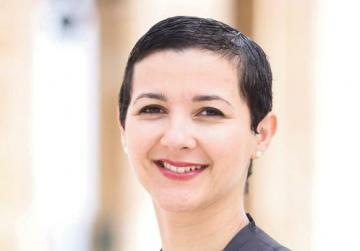 She will be accompanied by Maria-Elena Farrugia. Albert Storace will present the programme. In Meditations, Baldacchino will be singing mostly profound and inspiring sacred baroque arias by Bach, Handel, Vivaldi and Pergolesi. The programme features excerpts from Bach’s Magnificat in D Major and St Matthew’s Passion, Pergolesi’s Stabat Mater and How Beautiful are the Feet from Handel’s Messiah. Moreover, the programme includes Ave Maria by Schubert and Caccini, Faure’s Requiem and Durante’s Vergin tutto amore. Baldacchino’s voice has a pure, agile and crystal quality which makes her perfectly suited for works by baroque, classical, as well as 20th century composers. Her stage portfolio includes premiering original works as an actor with Aleateia Theatre Group, and artistic assistant director at the Astra Theatre, Victoria, for the staging of Verdi’s Macbeth, Rigoletto, La Traviata and Puccini’s Turandot and Gounod’s Romeo et Juliette for Teatro Coccia in Novara, Italy. Tickets can be obtained from the venue itself half an hour before the concert begins. Proceeds from the event will go towards the Augustinian monastery restoration project. After the concert, patrons will be offered a free visit around the chambers of the monastery. For more details, call 7968 0952 or e-mail baroccomalta@gmail.com.